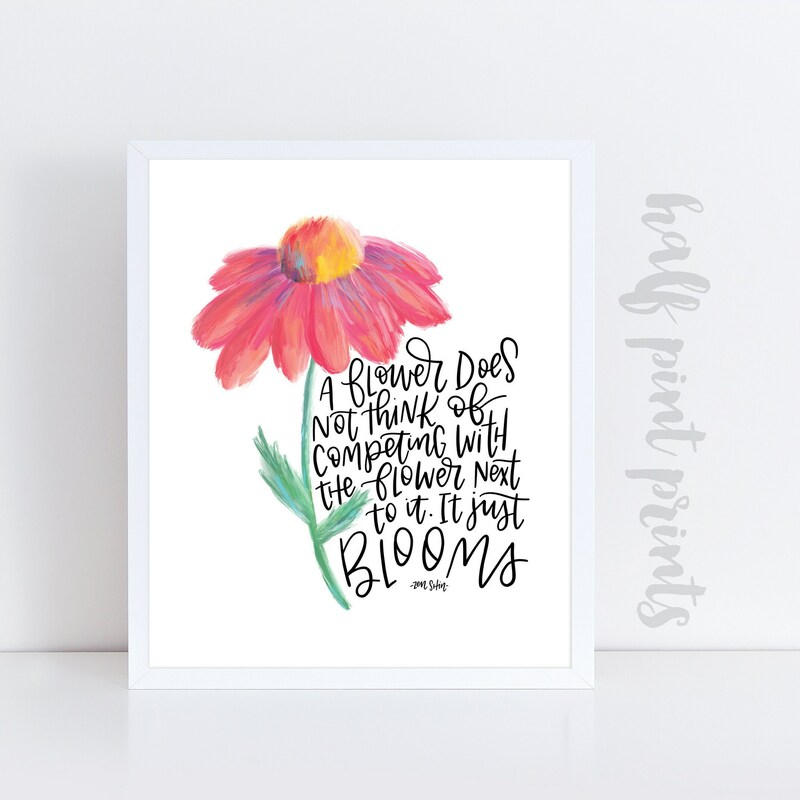 Hand lettered - "A flower does not think of competing with the flower next to it. It just blooms. " Zen Shin quote print. I personally hand lettered the design, which means you won't find this exact design anywhere else.